I’m not a professional in the world of video nor in the world of live broadcast events. The solution proposed here is based on several empirical and self-taught experiences. 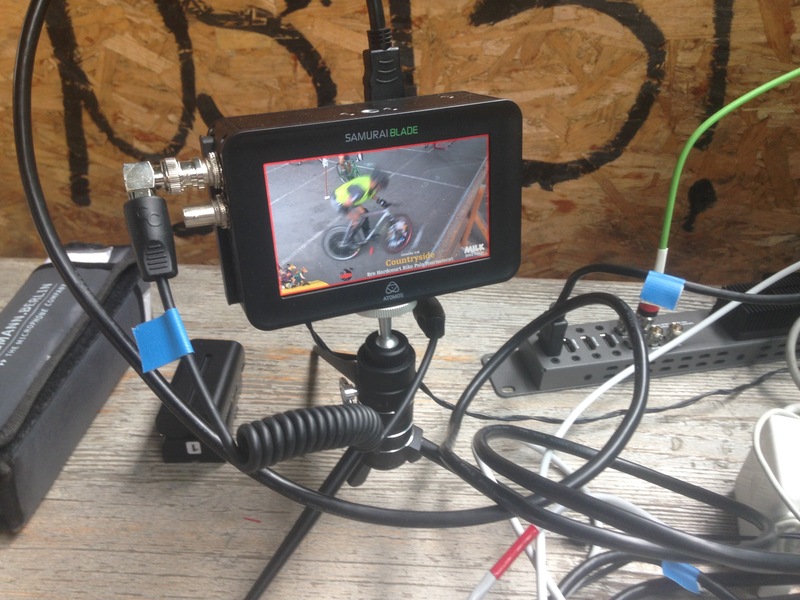 I am open to comments, corrections, and other ideas that can advance the live broadcasts of bike polo events. My setup is very Apple / Mac centric but the main apps i use (Wirecast and AirServer) have a Windows version too. Although i cannot be affirmative about that it should be then very similar to setup. Even if it’s a step by step kind of tutorial it’s not particularly easy and a intermediate level in video/computer stuff is required. 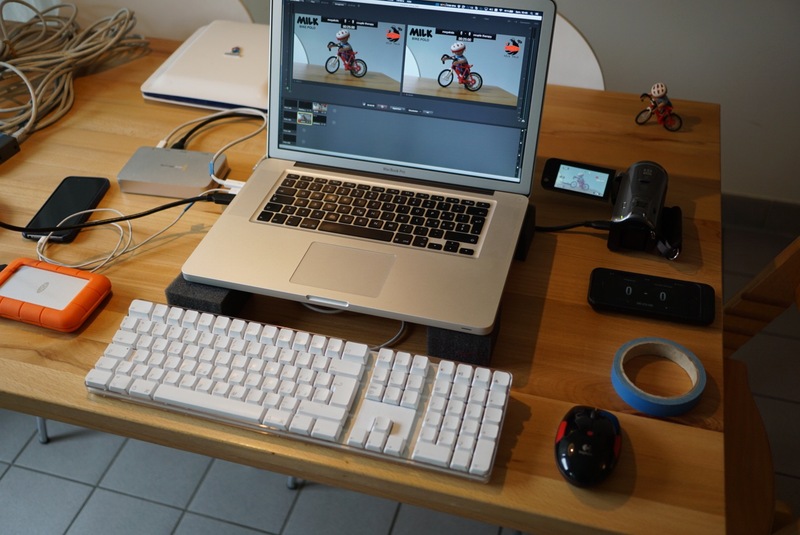 Thanks to Jeremie, Raphael, Leo, Patrick, Clement, Dorian, Johan, Jean-Luc and all the peoples involved in these streaming since our first live broadcast for the bike polo world championship that Geneva hosts in 2012. The video below it’s pretty much what you will get if you follow what I’m going to share with you. It was the 2nd Geneva Countryside tournament, a one court tournament outside the city of Geneva which took place on 13 and 14 August 2016. What you see in the video above is the footage the people saw live during the tournament. It’s a 720p video feed at 50fps. 50fps means that the video feel smooth and also allows you to obtain good slowmotion replay at 1/2 speed. Note about the 50 fps number: this is the standard in Europe, USA and other countries is 60 fps. So don’t worry if you camera only output 60p, you only need to change the number in the procedures to come. The goal is to set up a live HD broadcast with one camera + slow motion replays + live score/time. This may sound stupid but even before planning anything you must ensure you have access to a reliable internet connection. Even if you have access to an networked or a strong wifi connection you will need to test it and mesure its bandwidth. The bandwidth means how much data you will have available to upload your video stream. There’s a lot of tools or websites to do that, beta.speedtest.net is pretty accurate and they also have an app (iOS an Android). In this example we have 10Mbs at our disposal. Now, remember our Goal? A 720p stream at 50 frames per second with a good image quality. This is where the bandwidth of the video stream comes into play, we need to know what constitutes a video stream 720-50 fps in terms of bandwidth. There’s also many tools for that, the one im using is Video bitrate Calculator dr-lex.be/info-stuff/videocalc.html (this tool will also be useful to know how much data we are going to upload, in the case of a data limited 4G/LTE internet connection). You can let the audio bitrate set at 128kb. Total bitrate is now 5890Kbps, on our internet connection tests we obtained a solid 10Mbps which is 10’000Kbps. So we are good. By entering the estimated hours of streaming (here i’ve enter 8 hours on the up right corner) and then clicking the Get from time&bitrate button you can see that the projected gigaBytes consumption is 21.2GB. It’s why when i stream via 4G/LTE i use a prepaid card that let me buy all the data that i will need. The provider i use here in Switzerland is called “Yallo” , for reference they charge CHF 80 for 10gb of data. That means that if we want to keep the suggested bitrate for 8 hours a day it will cost us CHF 160 a day. Now, if you are tight on the budget you can play with these number and try to lower the video bitrate to match your budget. This tool is great because you can enter the data usage you are aiming for, let’s say 10gb a day, and then click the Time, size, audio > video button and get the corresponding bitrate (you are going to need this number letter when configuring the streaming app). Fair enough, you now have a good internet connection, a good data plan and we know the audio/video bitrate of your upcoming stream. Now: the equipment. I will list here almost all the stuff i used for this particular tournament. Only the video equipment is different here because the one i used was rent specifically for the event. It will make possible to stream from almost anywhere. 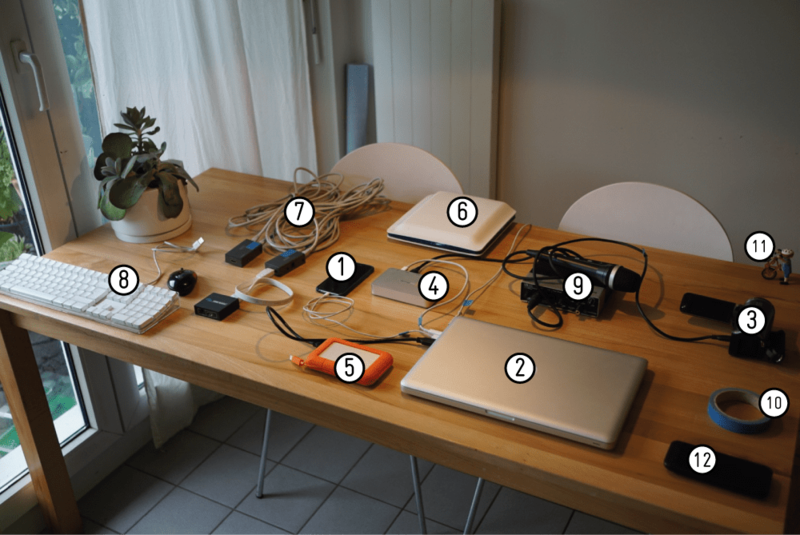 Important: it must be able to tether/share his internet connection via USB. Mine is a 2012 15” Macbook pro. It is an i7 quad core at 2.6ghz and i’ve maxed out the ram (16gb) and put 1To SSD (2x 512). You can achieve this kind of streaming with a more modest computer but you may struggle to have a 720p 50fps framerate. For reference we streamed the Hell’s Bell 2014 link with a 2012 macbook air at 25fps. 3.1 A tripod is missing from this picture. A good tripod is one of the key component of your setup because it will impact directly how and in which conditions the cameraman will film the games. For this event i rented a Manfrotto 504. I used a Black Magic Intensity Extreme. Basically it’s an external video card that let you capture the HDMI video signal from your camera. This one use a Thunderbolt connection, the great thing about Thunderbolt is that the CPU of your computer will be less solicited. So even a pretty “old” computer with this port can manage a HD/FullHD signal at a pretty low performance cost. Here it’s a Lacie USB3/Thunderbolt 500gb SSD drive. We will use it to store the replays, the goal with it is to not write on the same hardrive that the computer is working on. This one is the common box that you get with your internet provider. We will not use it to get the internet connection but to get the Macbook and the Referee’s iPhone connected together and this way get live score, time and team names. This will allows you to extend the HDMI signal from your camera to the computer. 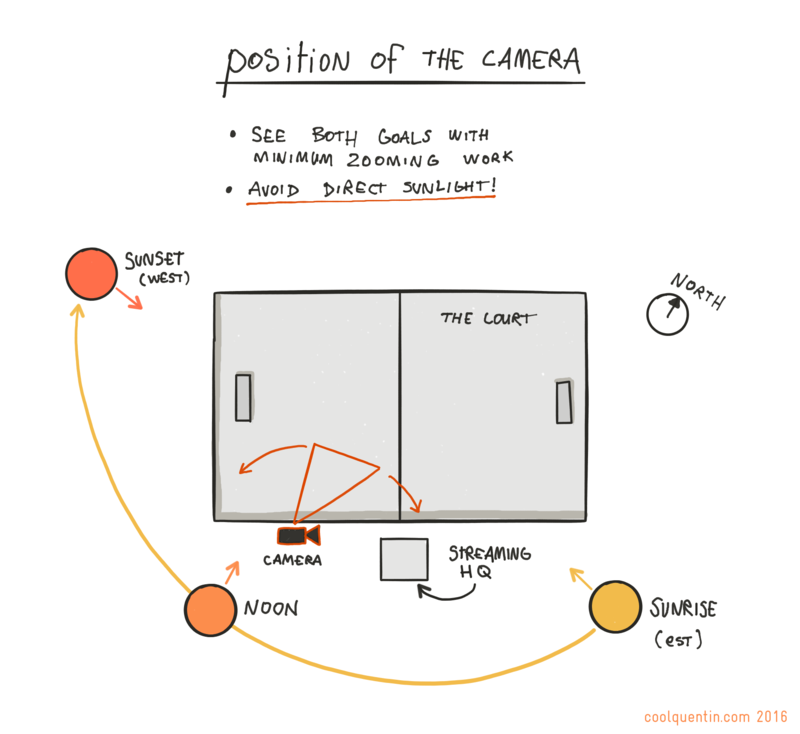 This is really useful when you cannot, or do not want, the streaming HQ (headquarter) to be near the cameraman. These are pretty cheap (less than $50) and works with standard RJ45 network cable (cat5/6). You need two cables, in our setup we uses 2x 15m. On the con side: the Marmitek link that I used carry also the HDCP protection signal which my capture device don’t like. To bypass that i had to use an HDMI splitter photo. This is a little bit tricky because not all HDMI splitter have this “feature” more about that here link. Alternative 1: you can you use this kind of HDMI to SDI converters link and extend the range a lot. Con: these are not cheap. This is optional but highly recommended since it’s very likely that you won’t be the only person to use your computer and you want to keep it as secure as possible. Also for heating issue we are going to elevate our laptop to let the air flows and it won’t be reachable as much as it should. XLR is the connection standard for audio/microphone, the cable is not expensive and durable photo. This will allows you to have commentators pretty much anywhere you want around the court (far away from the camera if possible, because the camera will aslo capture the sound of the commentators and it will result a ugly echo effect). You can also specify the end of each cable to keep track of what it is: if you have long distances cables it is very helpful photo. Just to have a subject to be shot while testing. This is the assistant ref iPhone photo. The screen of this iphone will be streamed to the Mac (2) and then incrusted into the Wirecast streaming app, this way the time, the score and teams names will be always sync from the court to the live streaming. Please note that it have an external battery case too, this way you can go the whole day without running out of juice. The one i’m using is a mophie one but it could be any usb battery stick or just think about recharging the phone between game or during a break. something to lift and cool down your computer. Here i’ve used some foam and a basic fan photo. The weekend the tournament tooks place was extremely hot and i had to cool down my macbook pro in order to have it working at full CPU power. Why this is important: in summary, when being too hot, a laptop does something called throttling. That means that the computer cut down the cpu clock to reduce heat. Less CPU power = harder to handle the video stream = dropped frames and loss of smooth video playback. A viewer device that is connected to the Internet independently (another Smartphone or tablet) in order to view your video feed from the “outside”. It is always complicated to have to ask the audience what they see or do not see (or do not hear …). Be sure that this device has a good internet connection too. We used approx. 20go a day and the price was CHF 807 for 10go. We ended up paying CHF 320.- for data. More on that on the next chapter. The camera + tripod + XLR cable + microphone was CHF 100.- for the whole weekend. It is cheap because it is a rental office of the city of Geneva. I’ve listed here all the soft i’ve used, you can achieve it with other streaming software and service. Youtube is free (of course it’s Google) and have no limitation. People can interact with you via a chat system. Also all the stream will be saved on Youtube and available for later viewing. Note: be careful to not have songs playing near the microphone because Youtube will detect it prevent your video to be played on some countries. This tutorial is based on the Pro Version of Wirecast (around 1000$), you can achieve it with the Wirecast Play Pro (around 500$). The limitation is that the Play version is only able to stream to Youtube. Also, you can achieve a basic streaming with the 10$ version of the Wirecast Play too but you will miss the replays feature and the live score. If you are tight on budget and don’t want to look into the darkside of the internet i will suggest you to get at least the Wirecast Play Studio version. You’ll miss replays feature but you will have all the other main features (editing scene, multiple live sources, preview windows, etc). This is where this tutorial shine in my opinion: having a cheap and accurate way to have the live score, live clock and actual teams names directly from the court. 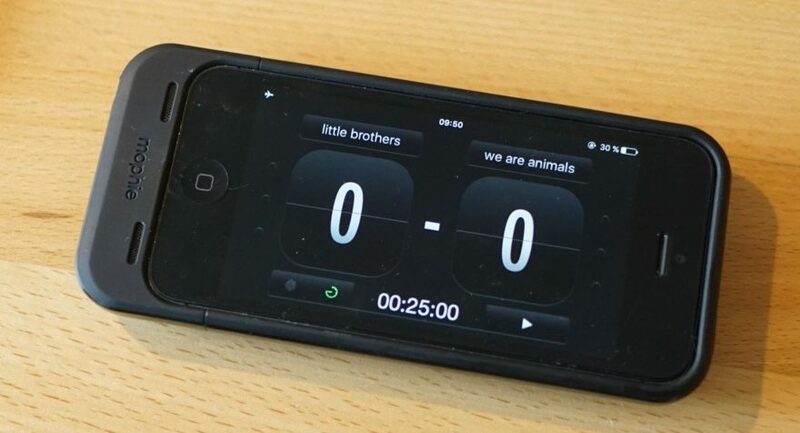 AirServer will be use to mirror the screen of the assistant referee iPhone to the Macbook. 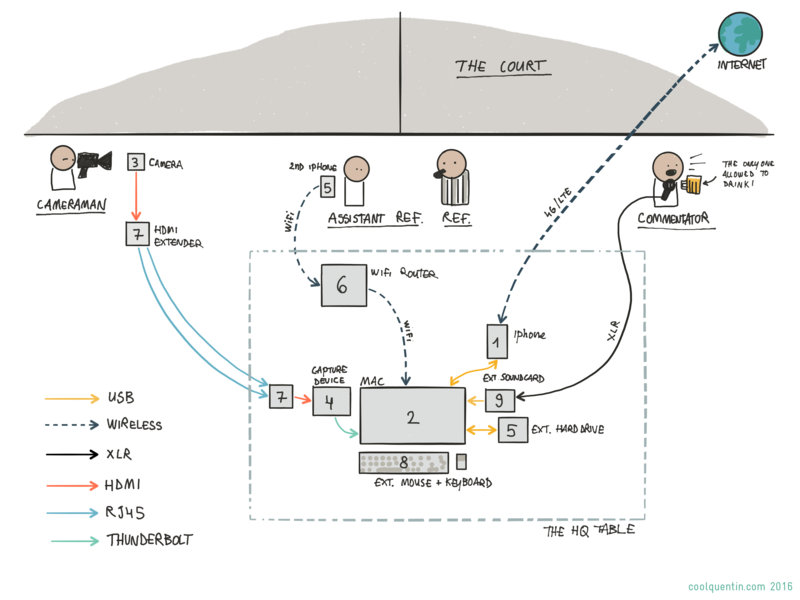 AirServer must be installed and both the Macbook and the iPhone/Smartphone. Note that we are talking here about the assistant referee Smartphone, not the iPhone that you use to get an internet connection. Now that you have everything it’s time to install and configure it. Once everything is plugged let’s make sure the internet connection is setup properly, be sure that the iphone is connected via USB to the mac. You must be sure that the iPhone connection is on the top, otherwise when we are going to connect the Macbook to the wireless router (step 2) the Mac will try to get an internet connection from it. Connect the Macbook to the “dead” wireless router, macOS will warn you that it cannot find any internet connection, dismiss it. The Macbook is now connected to the wifi router. Connect also the Assistant Ref iPhone to the wireless router. This one is a bit tricky because iOS won’t let you connect to a router who doesn’t have a working internet connection. You have to try it two times before it offers you the choice of doing it anyway (or long press on the router name, i don’t recall it properly). Now test the connection between the Macbook and the iPhone. If AirServer is properly installed you should be able to mirror the iPhone screen to you Mac. Reach the Airplay button on the iPhone and chose your Macbook, activate the mirror screen switch, launch the Table Score App and voilà! Now, launch the Wirecast app and open a Youtube page into your favorite browser, go to your Live dashboard and look for server url (should be something like rtmp://a.rtmp.youtube.com/live2) and for the key stream. 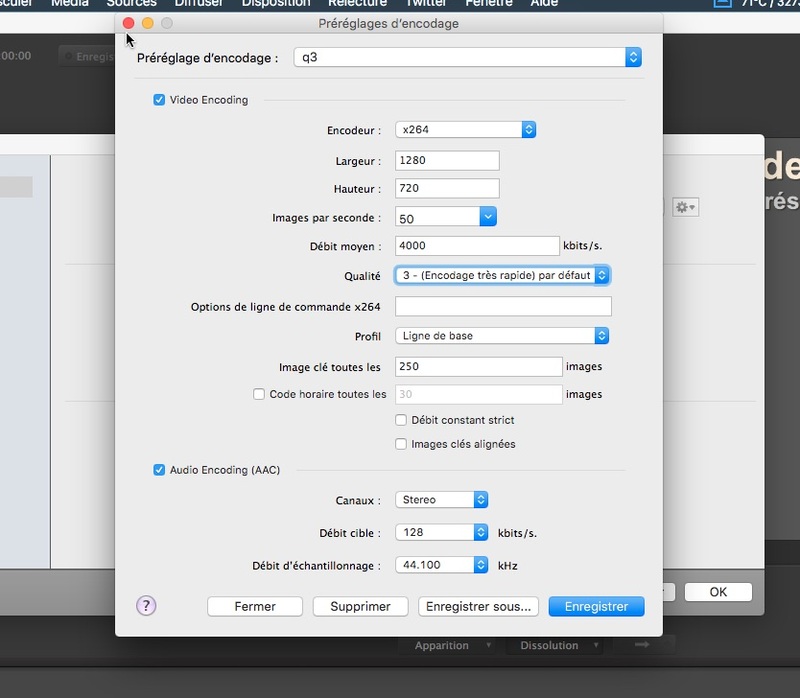 In Wirecast go to Output Menu and Output settings (or ⌘+Y) and add a RTMP Server. Note about step 5 : basically this is where you change the quality of your stream. 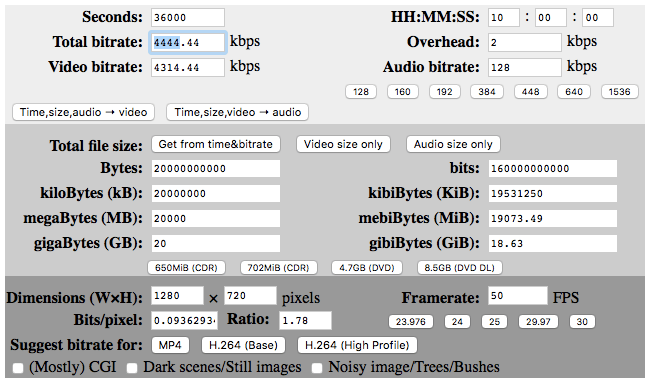 The aim here is to play with the numbers to be as close as possible to the bitrate we found in the beginning of this tutorial: 4’444 Kbps. 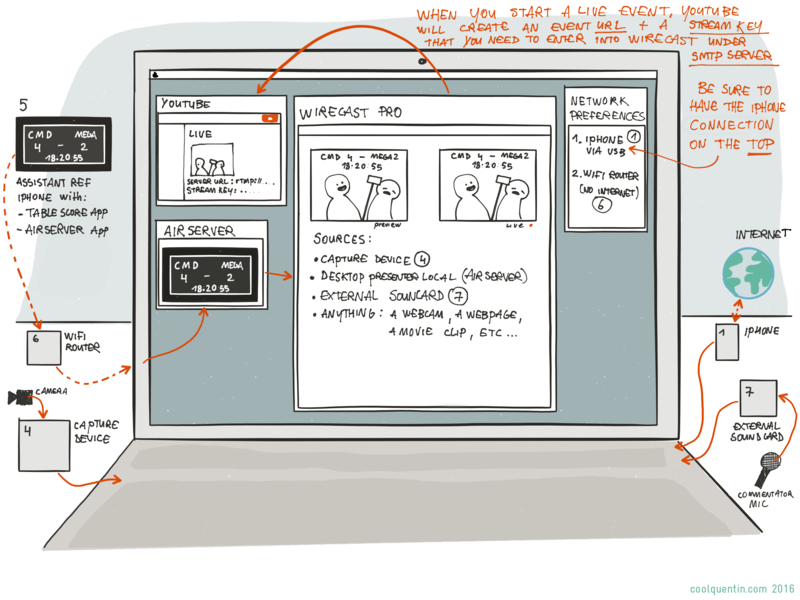 Wirecast works with Shot and Layers. Wirecast Pro 6 handle 5 Layers and a Layer can contain multiple Shots. A shot can be composed by multiple element that can be arrange in a layer management style. The Layer 1 is on top of the Layer 2 and so on. To activate a Layer you must select a Shot on it, if there’s nothing active on top of it (for example in a upper Layer) the selected Shot will appears on the Preview screen. (activate the Preview screen, select it from the Layout menu). Then to make the Shot “live” you need to Launch it using the Arrow in the middle of the screen or by hitting the Spacebar key. That’s pretty much it, you choose what appears on the Preview screen by selecting and deselecting shot from the different Layers. Note about Step 2: on this example you can see that my personal camera can only output at 1080 50i. “i” means interlaced and therefore must deinterlace. Also since the final output stream (from Wirecast to Youtube) will be 720p that means that the computer will have to downscale it from 1080i to 720p. The best case scenario is to have a camera that match the final output to avoid having the computer using CPU power to downscale the stream. In our case it would be a 720p 50 video stream. Add the Assistant Ref iPhone, you must manually add a Desktop Presenter Local source. Note: The iPhone must be currently streaming to your mac see point 2 and 3 above. 5. Boom, your iphone is now live on Wirecast, test it. Now we will edit the shot. That means that we will add some stuff on top of our camera stream, such as the live score and logos. Note: you can find the Logos files on the Links section at the bottom of this tutorial. 4. Here they are, the black back means it’s transparent. 8. Move the logo with left clic and resize it with clic + CMD. 2. Clic on the camera button and clic on the + sign. Look for your “Live_Score” source. 10. Resize, move, etc. You have now a working live time, score and teams names system! Now, let’s configure The Replays. Replays works in a way that Wirecast will constantly record the last minute (this can be customized) of the stream, if something noticeable happens then the person behind the computer can “go back in time” and replay the scene at a desired framerate (in slow motion preferably). The external disk is useful here, the main purpose is avoiding having Wirecast constantly writing on the main Macbook hard disk 9, therefore we will tell Wirecast to save the Replays on my LaCie drive. Note about the replays feature: this will cost you a bit of CPU usage and therefore depending of your machine you may want to avoid using this feature. 3. Select the desired folder. Here i’ve made a specific “Streaming Replays” folder into my LaCie drive. 4. You can play with the options. These are the one that works the best for me. About the image #4: these settings means that the last minute will be always available to pick a replay from. Also the 4 sec setting means that when you hit the Replay button (more on that later) Wirecast will center the replay on the last 4 seconds of play. We found that this number almost always perfectly frame the action. Here we will setup a new Shot in which the Replay files will automatically takes place. In this Shot we will place a red glowing word that says “REPLAY”, the idea is to have something that tells the spectator that he is now watching an action from the past. Because we place it into the #1 layer, when the operator activates it, the replay it will cover the live view which is on the Layer #2. Note: you can find the REPLAY movie file on the Links section at the bottom of this page, feel free to use it (it’s a bit meh to be honest). Note about the step 10: what happens here is that we tell Wirecast to create the clip directly in the layer #1 with the shot”Replay_Top” as a model. When the replay clip is over (approx. 8 sec at 0.5 speed if you kept the last 4 sec as we have previously configured) Wirecast will automatically come back to the live stream (layer 2). You are Ready to stream! Test your configuration by clicking the Stream button on the upper left corner. Go to your Youtube Live Dashboard and wait few seconds. You must see your live broadcast appears! Until now the only source of sound if from the camera. I strongly suggest you to have some commentary (at least for the last games). If you have plugged in you external sound card + microphone or any other usb microphone it should be available as a source. For this tournament i’ve created a simple movie clip which shows all the sponsors involved. This clip must be manually played by the operator. Note that if you have multiple movie clip you can create a Playlist on Wirecast in which you can put all the clip. They will be played after each other. Usually what will happens is that the when the UC (CPU) reaches 99% the IPS number will drop and your computer will not handle a smooth 50 FPS stream anymore. This will also alter the quality of your replay clips, because it takes CPU power to write them down, even on an thunderbolt external SSD hard drive. The CPU usage in Wirecast: when you start adding more sources (camera, replays, etc) test your configuration by going live and see if your computer can handle it. Adding an second microphone or a second camera makes your computer struggle? Deal with it: find a better computer or remove the feature. Note: On the first day afternoon we decided to remove the Replays feature because the computer struggled to handle it. Watch the your CPU temperatures: on my Macbook i’m using a tool called TG Pro (website). With this tool you can see if your CPUs are going crazy hot and you can also force the fans to be always at full speed. As said earlier: be sure to cool your computer as much as possible: lift it with spacers, cool it with an air fan, etc. If they are green this is perfect. You will see that the bit rate (the second number from the left) will also likely be as much as possible as the one we set earlier (4’444Kbps remember?). If the quality of the connection deteriorates, Wirecast will adjust the Kpbs in accordingly and it will result in dropped frames and poor image quality. will take the spectator directly in the right spot on the video. Separate the Refs from the commentators and all these people from the Streaming table. This year was OK but the HQ (headquarter) was pretty narrow and also the commentators was just next to the referee which is not good for the referee concentration. On the paper it was OK: a team of 3 people for the streaming. One behind the camera, one behind the computer and one making the break, bringing some food or water to the other two. But on reality the whole tournament missed a bit of volunteer and the team of 3 was more a team of 2 most of the time. Next year I plan to make a cooling based on air conditioning. In this setup all the files, except the Replays, are hosted on Youtube and Youtube only. If the connection breaks or if i would like to make a better video of the final games for example i’ll have to re-download it from youtube. Alternatively you can save the rush directly on the camera itself but you will have to but back the logos and also to sync the sound from the commentators… It could become a huge and overwhelming work. Let’s face it: you will never do it (at least i will never do that). well you will need more than two people of course if you don’t want to find them dead behind the screen and hanged at the hdmi camera cable. Cameraman and director of technical board are exhausting jobs. For the record this is not the camcorder i used for the streaming. I rent a Sony PXW-X70. You can do it with any camcorder but for the confort of the cameraman if you can rent a semi-professional don’t hesitate. Clean HDMI out means that the video signal is raw and without any kind of information present (battery level, timecode, etc). On camcorder it’s mostly always true but it’s much more rare on camera. This is typically part of the tutorial that could be optimized. By playing with the different settings we should strike a balance between quality and bandwidth usage to optimize costs. Thanks for writing up such extensive explanations! 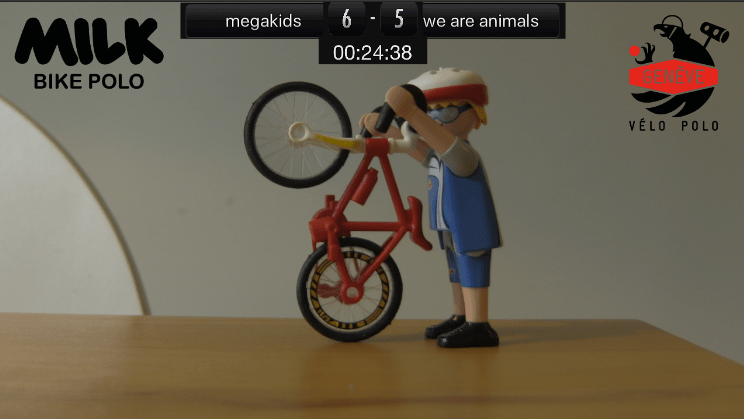 Managing the team names and scores on the phone and cropping them into the video is a killer tip. I’ll look into implementing parts of this at our local club. Hope you don’t mind but I shared your link to DVInfo and Facebook Sony PXW X70 forums.